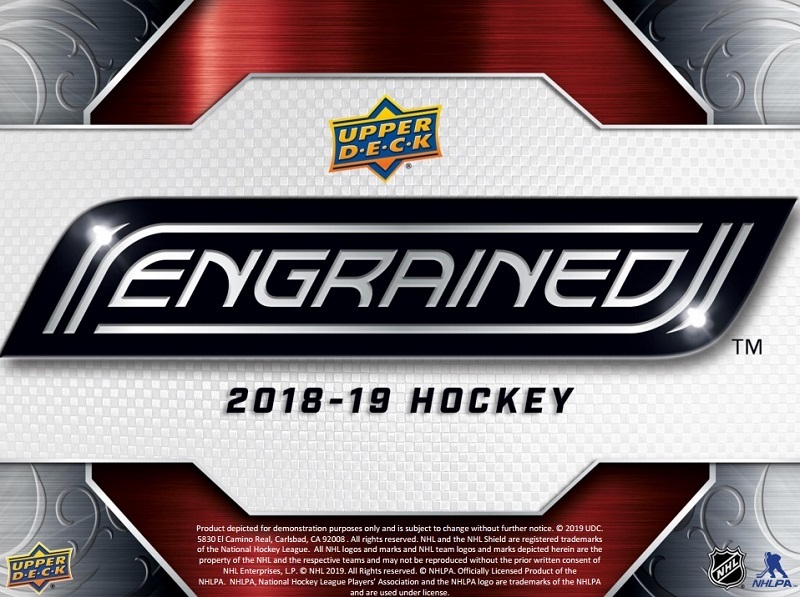 搶先看:2018-19 Upper Deck Engrained Hockey - 球員卡相關消息區 - 育盛球員卡(球星卡)及各類運動討論區 - Powered by Discuz! 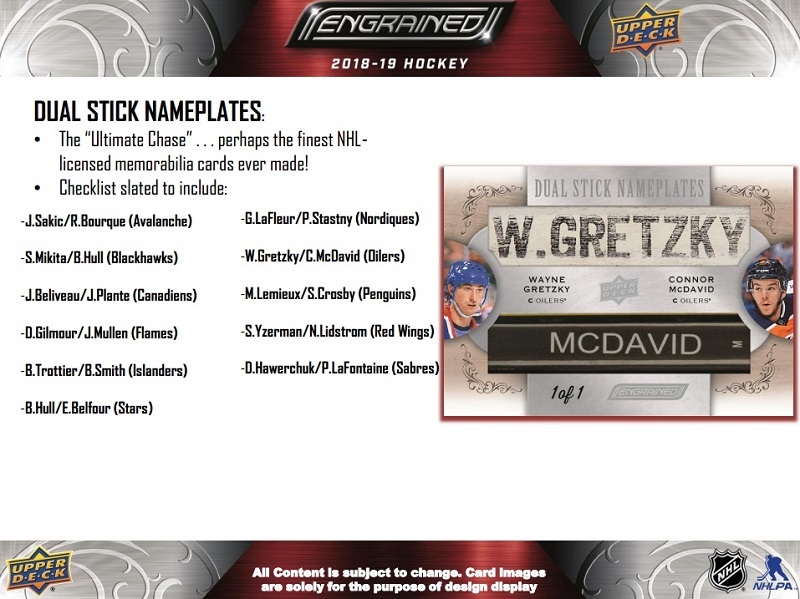 2018-19 Upper Deck Engrained Hockey uses wood as a focal point, drawing inspiration (and memorabilia) from players’ sticks. This marks the debut for the line, which arrives with three total autographs and memorabilia cards in every six-card box. The wood theme starts in the Engrained base set. 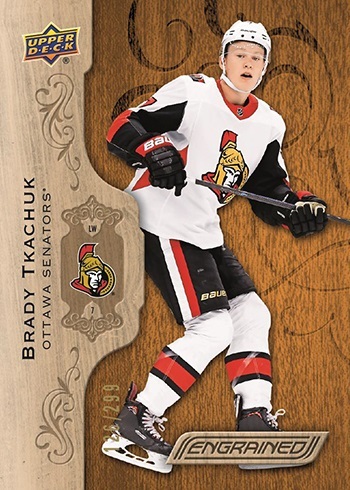 Cards are done on faux wood card stock, something that has been used periodically in inserts over the years. The checklist features 100 cards, all numbered to 299. The full breakdown works out to 50 rookies, 31 vets and 19 retired players. 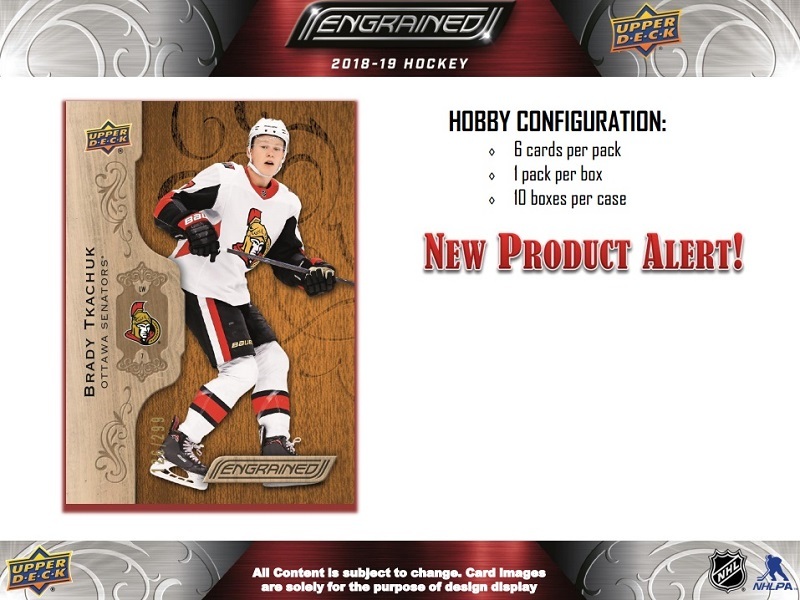 Single-pack boxes have both a rookie and either a veteran or retired base card. Black parallels have 49 copies each. 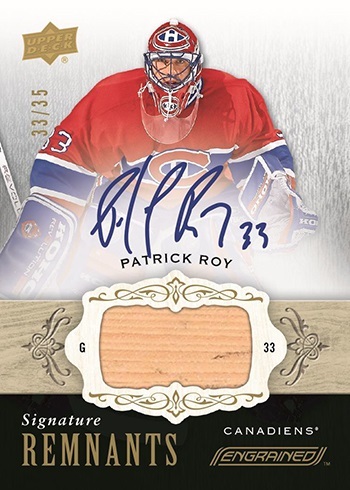 Premium-level parallels bring in autographs, memorabilia and a combination of the two. Odds for autograph parallels are 1:3 packs for rookies, 1:8 for current players and 1:12 for past stars. Memorabilia and autographed memorabilia parallels all have serial numbers but to varying amounts. 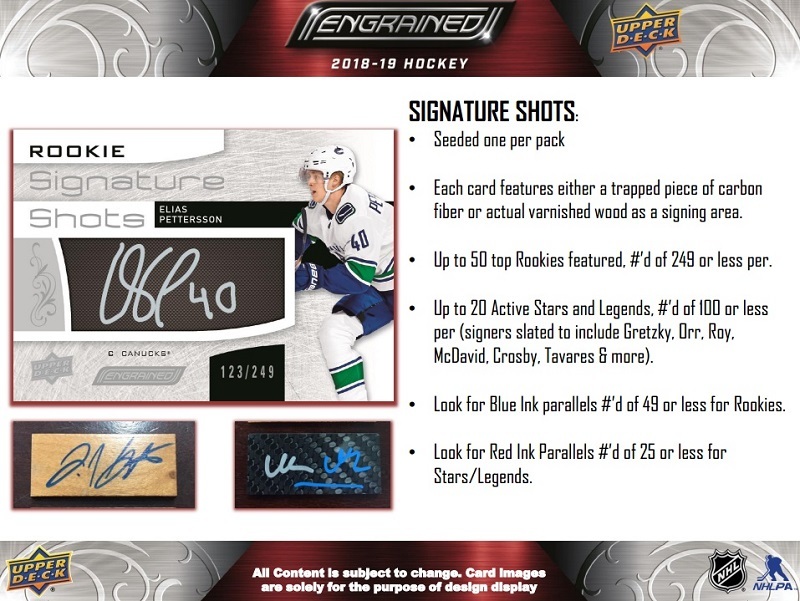 Signature Shots are one of the main autograph inserts in 2018-19 Upper Deck Engrained Hockey. Landing one per pack, these use carbon fiber of varnished wood for the signing area. This mimics a stick or its blade. 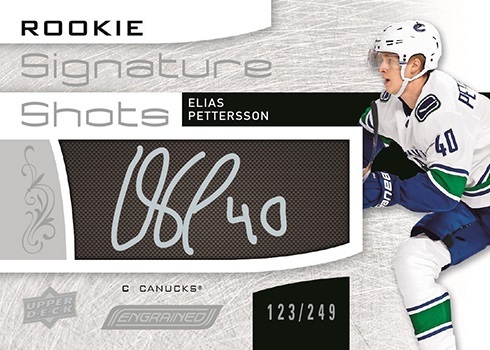 Rookie Signature Shots, which has a deep checklist of first-year players, come in two tiers. The first has 249 copies. Tier two cards are somewhat more rare, with 149 copies. Blue Ink parallels have no more than 49 copies each. Past and present players also have Signature Shots cards. Base versions are have 100 copies or less while Red Ink parallels are out of 25 and under. 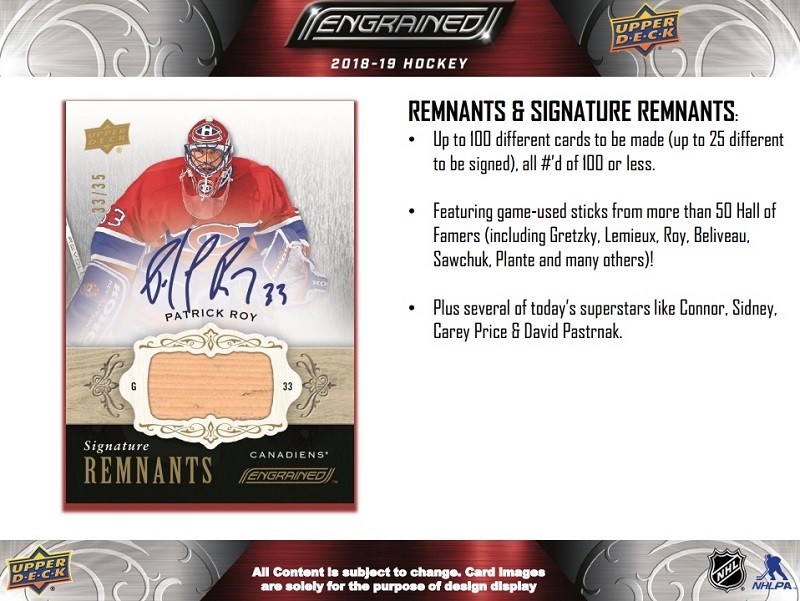 Remnants (/100) is a memorabilia insert all about game-used sticks. Over 50 Hall of Famers are on this portion of the checklist include Wayne Gretzky, Terry Sawchuk, Mario Lemieux and Jean Beliveau. Connor McDavid and Sidney Crosby are among the current stars. Signature Remnants add an autograph. 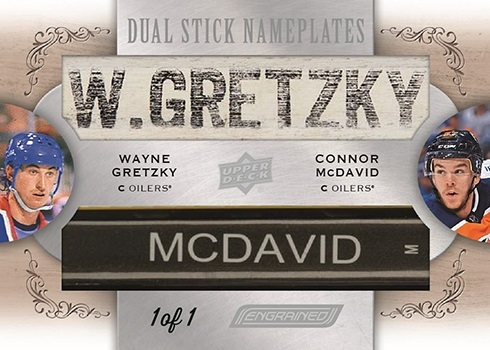 Dual Stick Nameplates highlight the name portion from a stick. The combinations? Gretzky and McDavid, Lemieux and Crosby, Stan Mikita and Bobby Hull, and Joe Sakic and Ray Bourque to name a few. 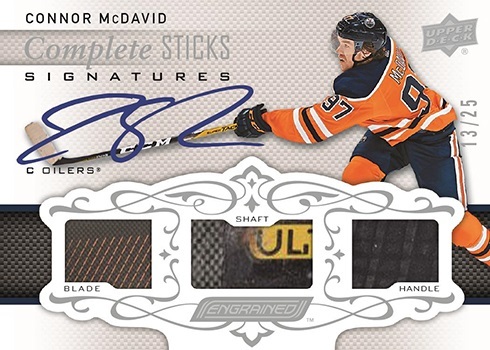 Complete Sticks (/25) and Complete Sticks Signatures (/25) have three separate stick pieces as a focal point. Carved in Time are inserts printed on solid wood. 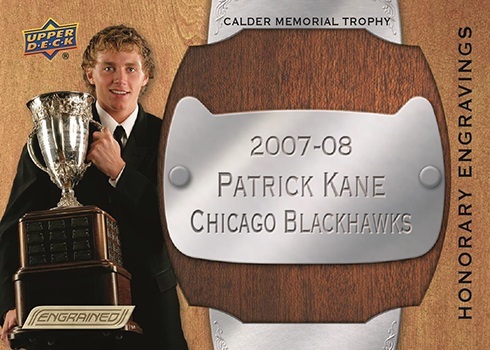 Honorary Engravings recreate nameplates from some of the NHL’s key awards. 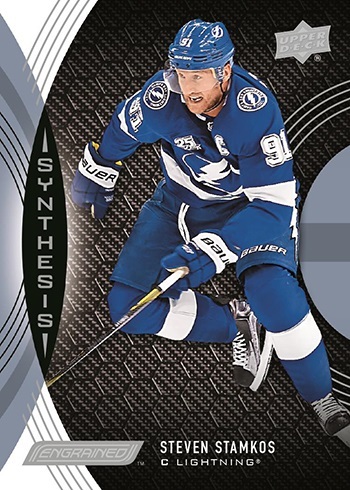 At 1:2 packs, Synthesis inserts are some of the most common in 2018-19 Upper Deck Engrained Hockey. These have Grip variants that have 50 copies each. Other inserts include Flexures (1:50), Signature Flexures (1:12) and one-of-one Distinguishing Marks.